When I was a kid, my mom threw me a 50’s themed birthday party complete with a jukebox made out of an old refrigerator box. Once the party was over, it stuck around the house for a month or two while we continued to play with it. Quite a bit of use for an old refrigerator box that was otherwise bound for the recycling bin. 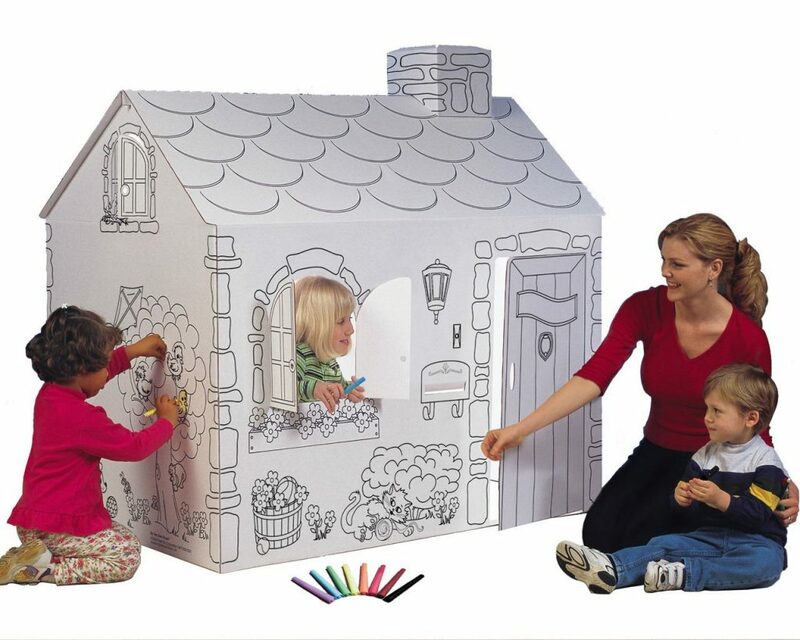 Now that I have my own kids, I can see how busy a simple cardboard box can keep them. 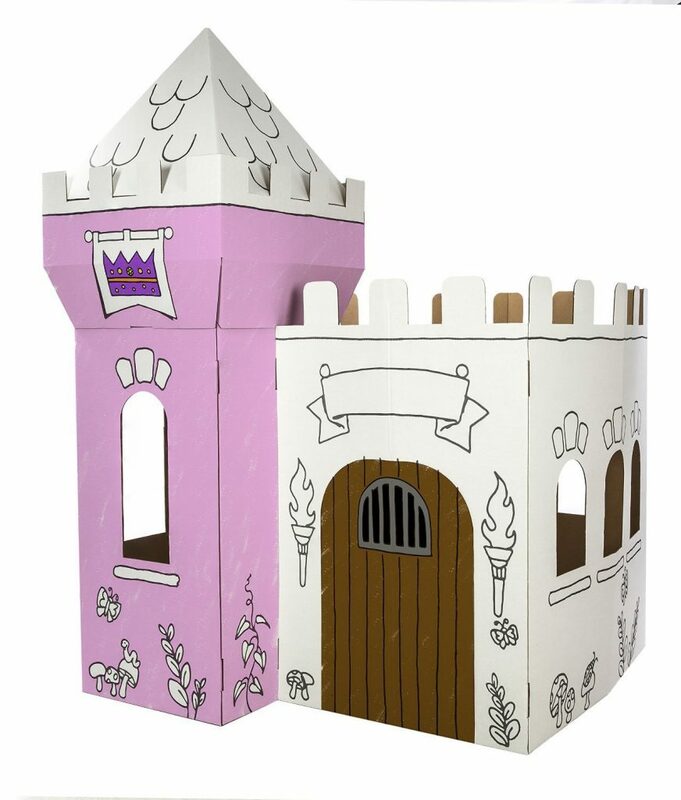 Here’s a few products that help turn a cardboard box into anything your child can imagine. Mr. McGroovy’s Rivets :I love these tools to make building something out of a cardboard box a little easier and more sturdy. You can download plans with step-by-step instructions to build projects like a firetruck, castle, space ship or lemonade stand. 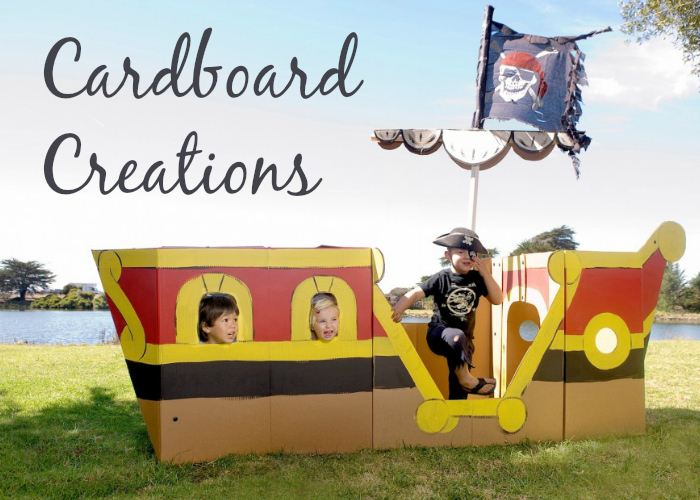 All you need is a few free cardboard boxes, Mr. McGroovy’s Rivets and markers or paint. For more inspiration, check out the photo gallery where people have shared their project photos. 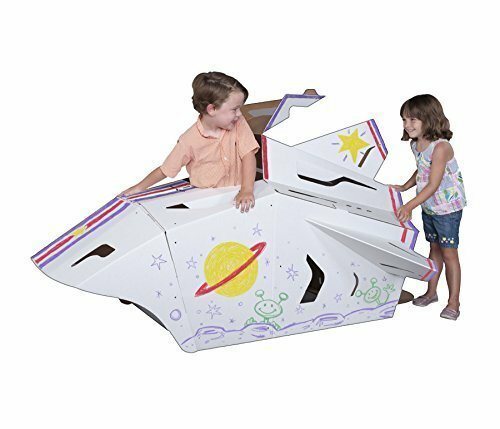 Makedo : I picked up a Makedo spacepod kit at a garage sale and my 5 year old loved it! 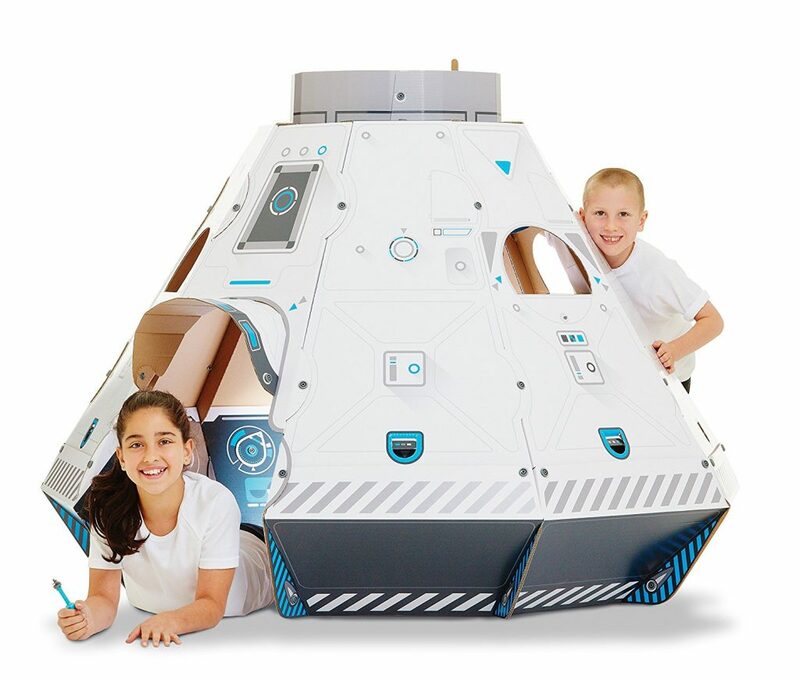 It came with instructions, stickers for decorating and over 60 connectors to make the space pod. All I had to do was provide the cardboard. 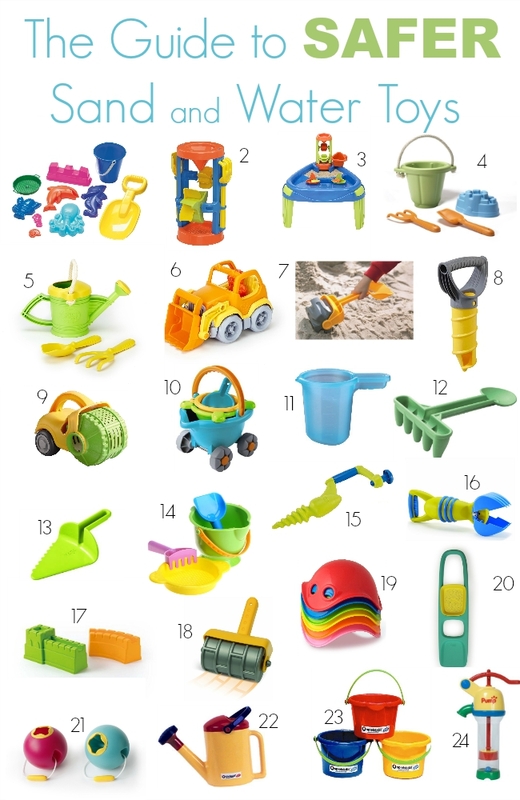 Each construction kit comes with similar items to build projects such as a shark, rally car or elephant. My Very Own House : If building from scratch isn’t your thing, My Very Own House has about a dozen different preprinted designs. This cottage is over 4 feet tall and well loved by toddlers and preschoolers. The outside and inside are white so they can both be decorated. Made from biodegradable, formaldehyde-free cardboard. Include 8 markers. 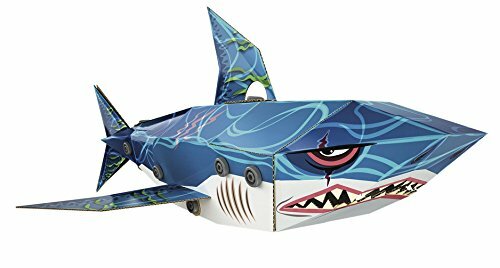 Box Creations : Another preprinted design but they are more adventurous with pirate ships, space shuttles, carriages and castles. Made in the USA with recycled materials and includes 4 markers. 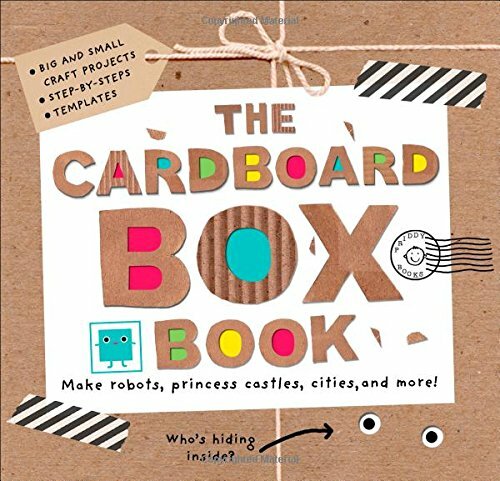 The Cardboard Box Book : This book would make a fun gift coupled with a few cardboard boxes and some paints or markers. My husband has asthma and while he hasn’t struggled seriously with it, I am hoping our children will not get it. So far, I think our daughter is in the clear but time will tell whether or not our son has it. I’ve done many things to reduce their risk including keeping harmful cleaning products out of our house, using organic dairy products, keeping pets out of our house and using allergen free products on our beds. I’ve also kept them out of chlorinated swimming pools. Don’t worry, our kids aren’t deprived of summer fun in the water. There have been plenty of pools and sprinklers, but we’ve limited their swimming in chlorinated pools to the occasional pool party or vacation pool. Science Daily reported that a study in Norway found that children with mothers who had asthma or allergies have an increased risk of wheezing if the child takes swimming lessons before 6 months. A study in Belgium found that teenagers who spent more than 100 hours swimming in chlorinated pools were up to six times more at risk of having asthma than other teens. 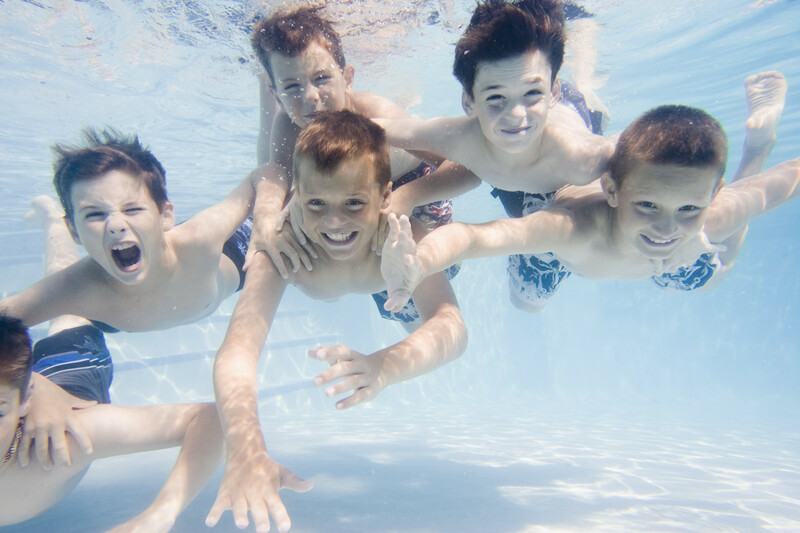 The European Respiratory Journal reportedthat children who start swimming ( in indoor OR outdoor pools ) before the age of 2 may be at increased risk of bronchiolitis, and those who developed the infection were also at increased risk of developing asthma or respiratory allergies by kindergarten. All that being said, 20% of the U.S. Olympic swim team have asthma and they are obviously talented athletes, despite having asthma. In the U.S., chlorine treated pools has been the norm for a long time but that is slowing changing. Ozone and UV treated pools, common in Europe, are slowly making their way across the pond. There are a couple salt water pools in our city, as well. While many of these alternatives do use chlorine, the chlorine used is a lot lower. The best way to find out how pools are treating their water is to call and ask! The best way to avoid chlorine is to visit the great outdoors where you can find fresh water swimming opportunities at the beach, in the river or at the lake. If you have your own pool, there are several purification systems that market themselves as chlorine-free including the Ecosmarte Pool, Carefree Clearwater, and EClear. Now that my daughter is 3, she’s in swimming lessons, in a chlorinated pool. With her age and interest in water, I think it’s important for her to have swimming skills for safety, exercise and lifelong enjoyment. From current research findings, it sounds like she is also past the point of highest risk. We will likely keep our son out of chlorinated pools until he is 2 or 3 and then enroll him in swimming lessons, too. Hopefully by that time, we will have the opportunity to put him in a lessons in a pool treated with chlorine alternatives. Do you have chlorine-free pools in your area? Are you concerned about chlorine in your pool’s water and the link to asthma? This is part of the Healthy Child Blog Carnival about Clean Water and Air Solutions – an effort by Healthy Child Healthy World to help inspire a movement to protect children from harmful chemicals. When we did a review of organic baby formula, we briefly talked about an ingredient that is generally included called hexane processed DHA/ARA. Since then, hexane processed DHA/ARA has been banned from organic baby formula (although it doesn’t appear to have been removed from organic formula yet). The reason? These DHA and ARA additives are produced using a potential neurotoxin known as hexane. So once hexane processed DHA/ARA is removed from organic baby formula, should you switch to non-organic formula or is DHA even important? Infants who have low amounts of DHA in their diet have reduced brain development and diminished visual acuity. The increased intelligence and academic performance of breastfed compared with formula- fed infants has been attributed in part to the increased DHA content of human milk. Cultures whose diet is high in omega 3 fatty acids (such as the Eskimos who eat a lot of fish) have a lower incidence of degenerative diseases of the central nervous system, such as multiple sclerosis. Experimental animals whose diets are low in DHA have been found to have smaller brains and delayed central nervous system development. So how can I get DHA in my children’s body? 1. Breastfeed – The level of DHA in your breast milk is affected by the level you ingest via food or supplements. 2. Infant formula – Most infant formula on the market today DOES contain DHA and is labeled as such. Currently, the only organic formula that does NOT have added DHA in it is Nature’s One Baby’s Only. 3. DHA supplements –You can find DHA supplements for your infant, children, teens and adults. In our home, we use Nordic Naturals, a brand my naturopath recommends – DHA for infants and DHA for children. 4. DHA food sources – The healthiest source of DHA is seafood. Two 4-ounce servings of omega-3-rich fish per week should yield a sufficient amount of omega-3 fatty acids, especially DHA. Besides fish oils, vegetable oils (primarily flax seed, soy, and canola) are also rich sources of omega 3 fatty acids, with flax seed oil being the best. The two F’s, fish and flax, are the top brain-building foods for growing children, and adults. I want to plainly state that I’m not encouraging anyone to give up baby formula because it contains hexane processed DHA. I am a huge believer in DHA and have seen it affect change, particularly in our daughter (I’ll write more on that later). I just wanted to point out the importance of DHA and that there are multiple ways to get DHA into our bodies. I can’t believe we’re in ‘Back to School’ season already. In the Pacific NW, summer started, like yesterday. It was a loooooong rainy winter and I’m not sure spring even showed up this year. The Center for Health, Environment and Justice has just released their Back to School Guide for PVC Free School Supplies. Remember, PVC is the “poison plastic” and one you should avoid as much as possible because of the nasty chemicals it leaches. This comprehensive 17 page guide lists everything from art supplies to backpacks to binders to dry erase markers and paperclips (colored paper clips are coated with PVC). Everything you could possibly need for school is on this list. Print it out and take it with you to the store. If you want the condensed version, print out the wallet size version. A great place to start your shopping is Stubby Pencil Studio. 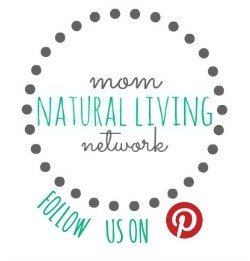 The owner and mama, Kate, finds non-toxic school supplies for all ages. My kids aren’t yet of the age where I need to purchase “school supplies” but many of the the items on the list we still use in our home office or for home craft projects so I’ll be referencing it frequently. You’ll be surprised at how many things you use on a regular basis that have PVC. The good news is that there ARE alternatives! 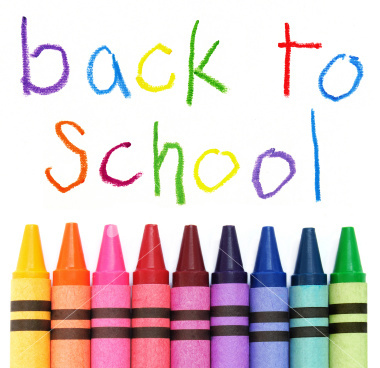 What PVC free school supplies will you be buying this year?